After a lot of thought, I realized that this is the essential question asked in Hayao Miyazaki’s latest film The Wind Rises. 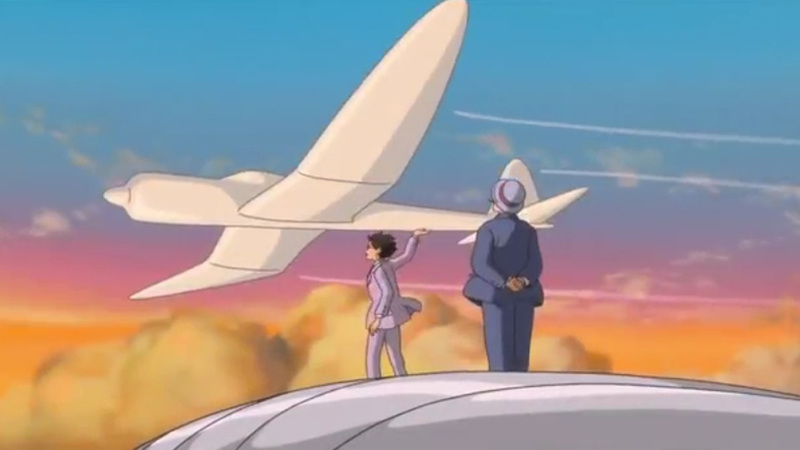 The Wind Rises is an interesting film. I haven’t seen every single one of the films he’s directed or worked on with Studio Ghibli, but I’ve seen enough to know that his final film is a very different film from the rest of his work. 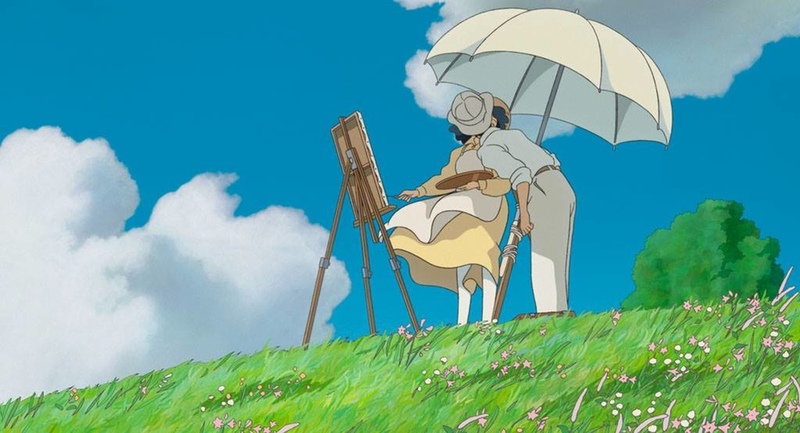 Where Miyazaki’s work is usually people with very real issues in a very magical situation, The Wind Rises is very much grounded in reality, but enhanced by the main character’s dreams. Which brings me back to that essential question. 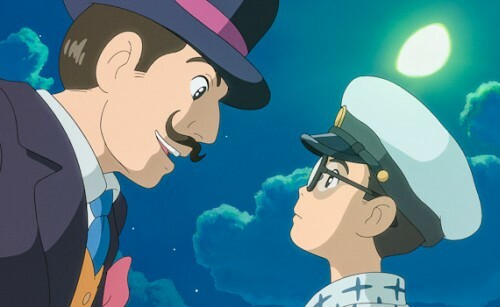 Part way through the film, when it’s implied that Germany and Italy are leading up to the war, the dream mentor of Giovanni Caproni asks Horikoshi if he would prefer to live in a world with or without pyramids. The implication is this: would you rather live in a world with beautiful things that are rooted in hardship, or would you want to live in a world where our dreams remained untainted by the outside world and therefore unrealized. However, the film doesn’t really try to justify the war in that sense either. With the focus on this fictional Horikoshi’s life as he creates the A5M and falls in love with a woman doomed to die, it ultimately becomes less about the war and more of a bittersweet lesson. That sometimes our dreams don’t work out exactly how we hoped, but that doesn’t mean that we shouldn’t try to live them out. This was a hard film for me to process. It’s not that it wasn’t beautiful. It was gorgeous both in scope and story. It also sneaks up on you because I found myself tearing up a lot at it when I least expected. It was challenging and quite the shakeup for Miyazaki in a good way. I just don’t know where it falls for the rest of Miyazaki for me. I know he can handle mature subject material just fine. You only need to see Princess Mononoke to see that and this film does it well too. It’s less that it’s bad in my book, but more of if it’s going to be my next Children of Men: A film I love and admire, but could only watch once due to the number it did on my mental health. I don’t think it will be that bad, but I don’t see myself revisiting this film a lot in the future just because of the context and content of the film. I would like to rewatch it at least once though to hear the original Japanese with Evangelion creator Hideaki Anno as Horikoshi. I love Joseph Gordon Levitt, but his performance as Horikoshi felt a bit flat. Perhaps that was intentional and I would love to get some perspective. It’s a film worth watching though, and it’s a shame that many members of the Academy of Motion Picture Arts and Sciences dismissed this film (and the other films in the category) as for children without giving it a serious view. It’s a very different film from Frozen and could have been a serious contender for the win if it had been looked at more seriously. Because really, it is a film that deserves to be watched, no matter if you think it’s an anti-war piece of garbage or the best film Hayao Miyazaki ever made. Even if I remain forever unsure about it, I’m glad I saw it because it reminded me to go forward with my dreams and live. Because even with the most important question, there’s an even more impression that overrides that coming from Caproni.